No one likes troubled teeth, but there are a few dental concerns that everyone should be aware of. Your dentist in Zionsville is here to help you understand the top dental problems that you could end up facing if you let your oral health decline. The most prominent problem that people face is tooth decay and cavities, formally known as carries. Do you know what the original word carries come from? It means rotten in Latin! When teeth are overexposed to dental debris and plaque for too long, tooth decay begins to develop and rot your teeth. Believe it or not, 90% of school-aged children and nearly all adults have experienced dental carries! Chronic dry mouth is easier to develop than most people may think. Unsurprisingly, it’s caused by a lack of saliva in the mouth. This can occur for a few different reasons including a well-known side effect of taking prescription medications. If your doctor prescribes you any drugs, be sure to ask if this is a side effect. If you suffer from dry mouth, you may experience a higher chance of developing decay, cavities, or gingivitis. Problems with the temporomandibular joint (the hinge joint that connects your lower jaw to your skull) can be identified as TMJ disorder. When your dysfunction in TMJ’s you can experience issues chewing and eating as well as speaking. Sometimes you’ll experience a popping, clicking, shooting dental pain, or the jaw becoming stuck in an open or closed position. This can not only be painful, but it can decline your quality of life. Did you know that just about 9,700 people will die from oral cancer this year? In most cases, the cancer cells are detected in its late stages, resulting in a surprisingly high death rate. The sad fact is that 40% of patients diagnosed in its late stages die within 5 years. If you’re active in your dental health and detect oral cancer early, there’s a greater chance of survival—up to 90%! Recognizing the signs early on is critical to slowing down and even halting the progression of the disease. The Centers for Disease Control and Prevention (CDC) found that half of Americans 30 years and older have periodontal disease (advanced gum disease). This may be because the preliminary stages of gum disease were ignored while they were younger. Gum disease develops in stages of gingivitis, gum disease, and advanced gum disease formally known as periodontal disease. This disease contributes to tooth loss, systematic disease, and other serious health risks. 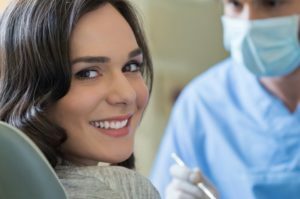 With these five health concerns to be concerned about, you can find solace in the fact that your dentist is here to help keep these dental problems at bay with excellent preventive care. Dr. Angelo M. Julovich takes great pride in his work and having the ability to help people raise self-esteem and is a wonderful way to make a difference in their lives. Not only can he improve the look of a person’s smile, but he can help patients avoid dental problems that decline overall health. IF you ever have any dental concerns, feel free to reach out to your local Zionsville dentist!